The amazing discoveries presented here cast new light on the words of the Bible and join the world's major faiths under the banner of Love for All, Hatred for None. Some interesting historic facts covered in this book: The exact date of the appearance of the "Second Coming of Jesus Christ." The discovery of a book written by "Jesus Christ himself." That book is buried in the Old Testament, & it tells us the true story of the Crucifixion. The survival of "Jesus Christ" from the death on the cross. His journey to gather the lost tribes of the house of "Israel," and death at the age of 120. All according to the prophecies of Prophet "Isaiah." The biggest mystery of all time, the marriage of Jesus. First time ever presented straight from the prophecy of Prophet Isaiah, the testimony of the "New Testament" and the "Quran." The true location of the "Biblical Promised Land." 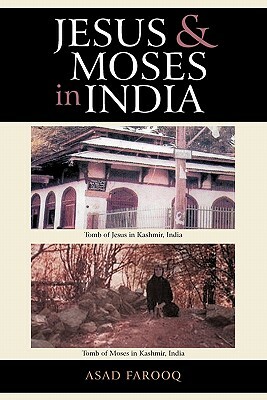 "Mary," the mother of Jesus is also buried in that part of "India," which is now in "Pakistan." The story of "Adam" and "Eve." Where they actually lived according to the "Bible," and what really happened to them. "The Flood of Noah" The flood that came in a small town, not in the entire world. Will the World End in 2012?